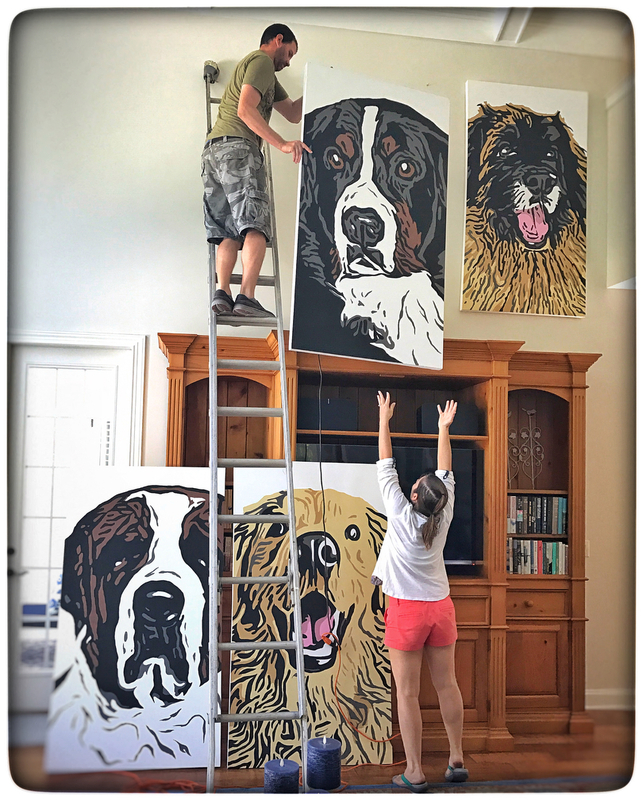 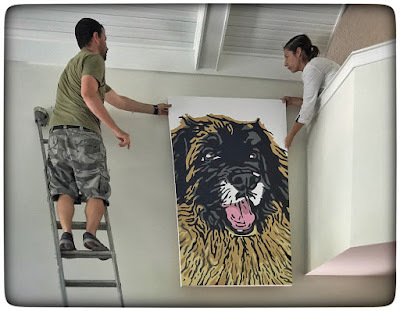 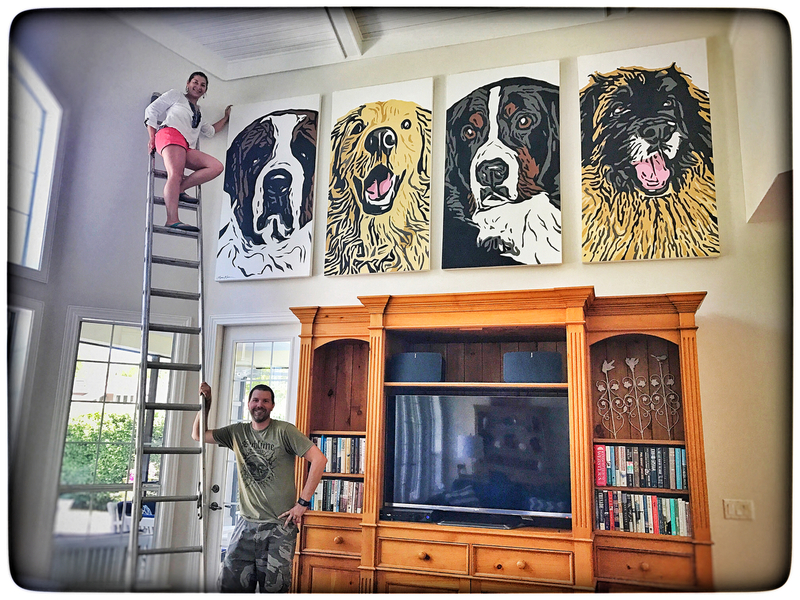 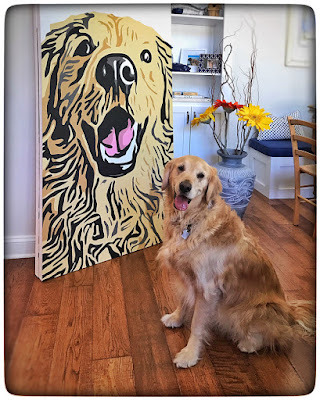 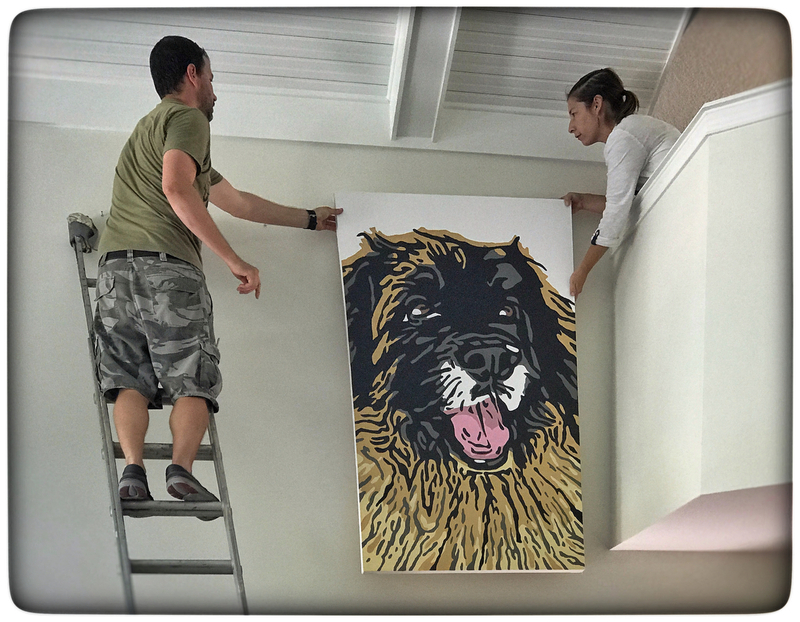 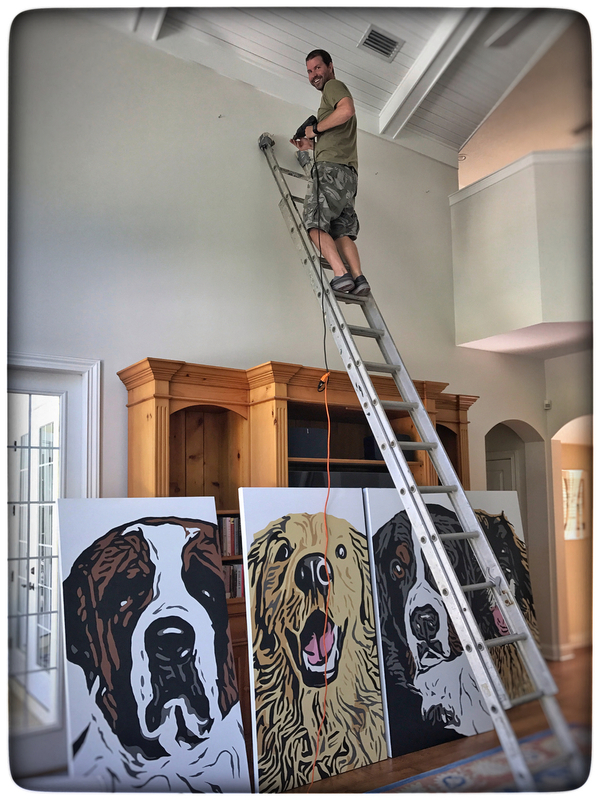 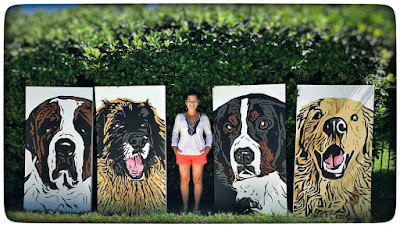 Lauren & Rob installed their 4 awesome pup paintings today. 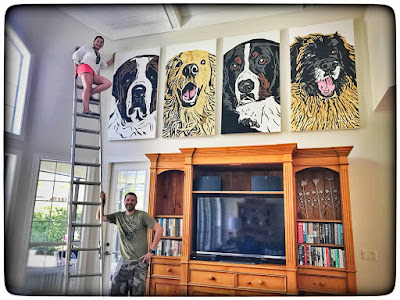 They're HUGE!!! 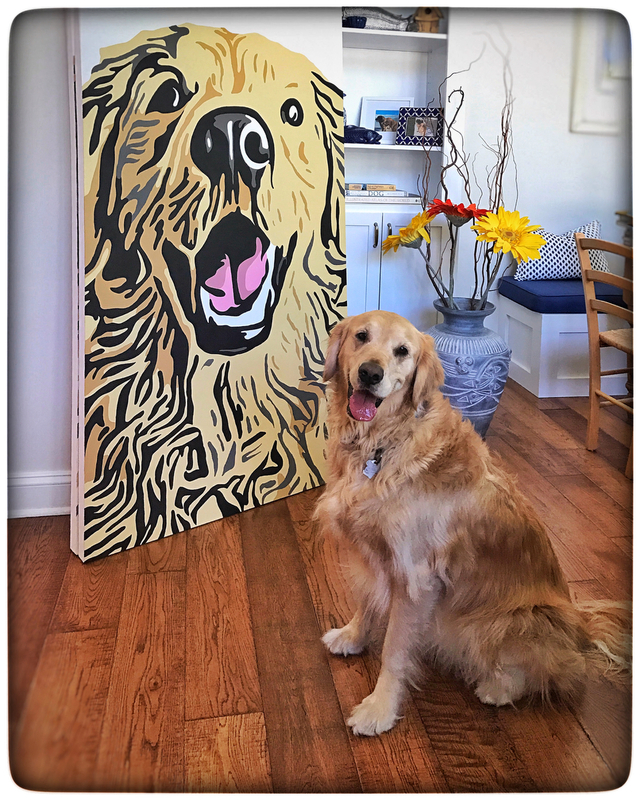 I think Jagger loves his portrait! 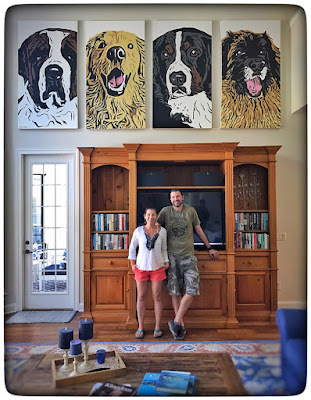 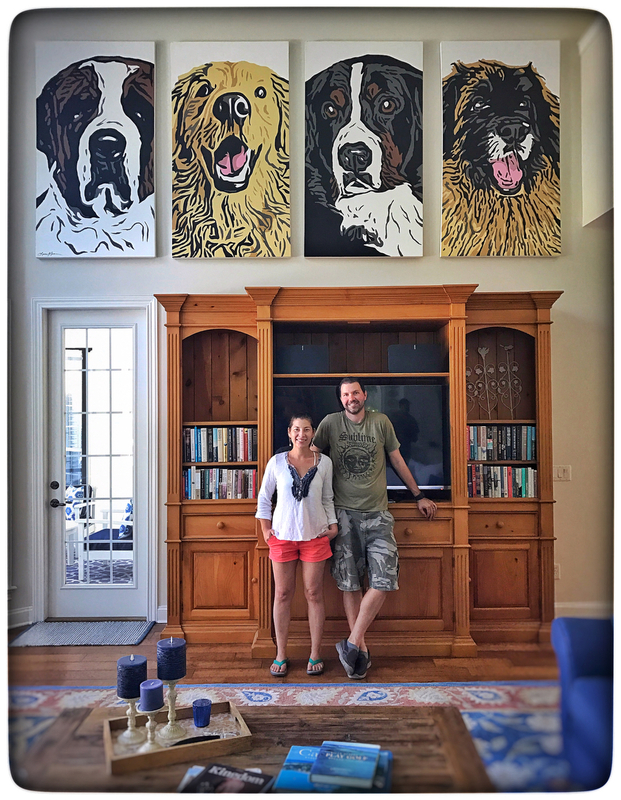 After the installation, Lauren & Rob posed with Bentley the St. Bernard, Jagger the Golden Retriever, Boomer the Bernese Mountain Dog & Charlie the Leonberger.